This half term our topic is Ourselves and Homes. We will be talking about our families and where we live and walking around our community looking at the buildings around us. We have already been busy learning to write and recognise our name to help you child please could you continue to practise this at home. This term our topic is Dinosaurs. We will be finding out all about dinosaurs through stories, rhymes and visiting Cardiff museum. We have even got our own dinosaur museum in the classroom. 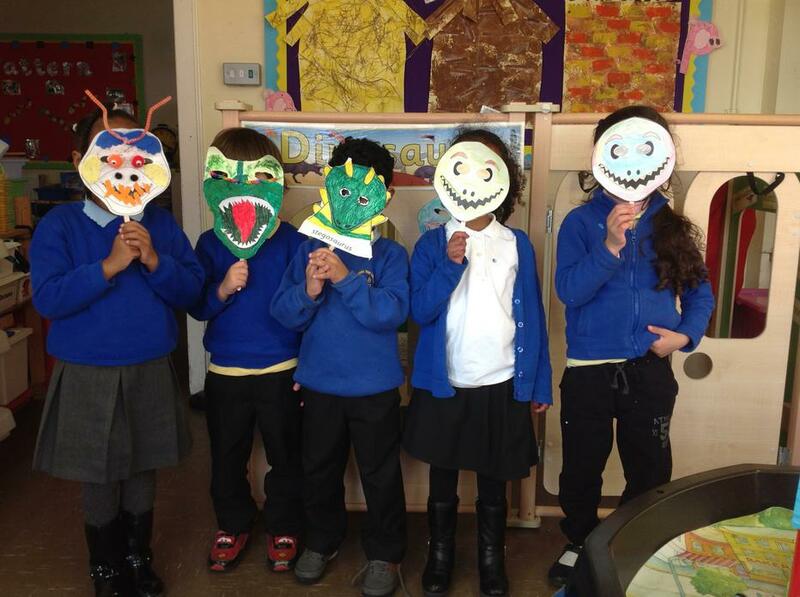 Thank you for helping your child make some fantastic dinosaur masks for homework they were fantastic we really enjoyed looking at them ROAR!!!!! This half term our topic is Spring, growth and change. We are busy getting ready for Saint David's Day we have been dancing, singing making hats and painting Welsh dragons.